A Mind of Music – Why Go to A Concert? Picture above is from a brilliant David Arnold concert I was at in Dublin last year. Do you gain anything from listening to a concert? Note: in the afternoon, before the evening concert, Stephen Pope is also giving a seminar. Details at the end. “Computer music” is music created with help of a computer. Related terms include: “tape music,” “electroacoustic music,” “electronic music,” “musique concrète,” or even “sound art”. This concert will feature two audiovisual works by Stephen Pope (http://www.mat.ucsb.edu/~stp/), who is a multitalented composer and computer scientist who has contributed many years to the field. Also on the program will be three other works, but for only speaker playback. Part 1 of this talk will survey the state of the art in music recommender systems and present the author’s SndsLike system developed between 2008 and 2014. Measured in terms of the amount of time they’ve been heralded as the “next big thing,” few technologies can rival content-based multimedia search engines. Using data features derived from multimedia content such as sound or images (without requiring human-generated metadata), together with advanced data-mining techniques to deliver user-preference-related similarity metrics (for search engines) has been a central topic in both image processing and music information retrieval for over a decade. Part 2 of the talk will introduce the BirdGenie bird song identification app for smartphones. Engineers and scholars have researched software systems for automatic bird song identification (ABSI) for some years, borrowing a variety of technologies from the fields of Music Information Retrieval (MIR) and computer speech understanding. In general, ABSI research has only focused on a small number of species (20 or fewer). These systems have analyzed songs using well-known signal processing techniques to deliver a defined set of parameters per recorded song. This “feature vector” for each recording is usually a set of somewhere between 20 and 100 numbers, which are then passed to a classifier to be identified. Most systems use machine learning methods such as nearest-neighbor matching or support vector machines (SVMs) to compare the extracted parameters to a database of known species. BirdGenie differs from most other ABSI systems both in the feature vector and the machine-learning techniques. Stephen Travis Pope (1955) grew up just outside New York City, and studied at Cornell University, The Vienna Music Academy and the Mozarteum in Salzburg. He has realized his musical works in the North America (Toronto, Stanford, Berkeley, Santa Barbara, Havana) and Europe (Paris, Amsterdam, Stockholm, Salzburg, Vienna, Berlin). His music is available from Centaur Records, Perspectives of New Music, Touch Music, SBC Records and Absinthe Records. In 2007, The Electronic Music Foundation in New York released a triple-disc retrospective of his works called “Ritual and Memory”; his latest release is the award-winning feature-length visual/music film “Secrets, Dreams, Faith and Wonder: A Mass for the New Millennium in Five Parts” (with videos by R Lane Clark, Lance Putnam and others). 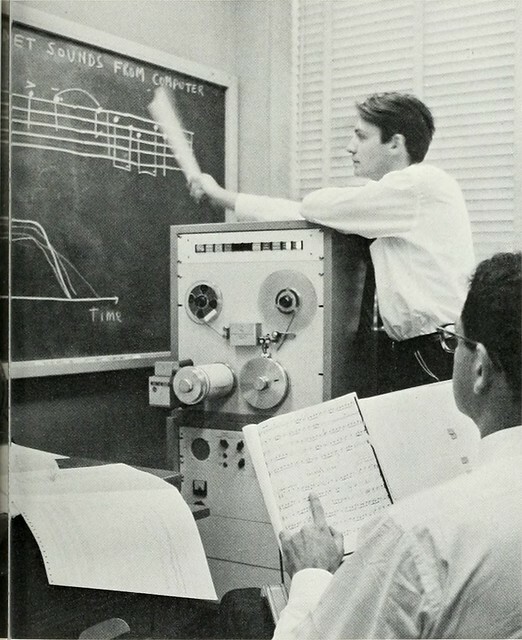 Stephen also has over 100 technical publications on music theory and composition, computer music, software engineering and artificial intelligence. He has lived in Santa Barbara, California for the last 20 years. Full details of event location, contact details and free Eventbrite tickets for this delightful-sounding event at Queen Mary University of London (Stepney Green / Mile End) on Friday 28 August. The event’s organised by Dan Stowell and colleagues from the Centre for Digital Music (C4DM).